For the decorations, I pulled the blue and yellow polka dots from the invitation. I also decided to make palm trees….ugh! That was a project! To me, having a smash cake is the best part of 1st birthday party! 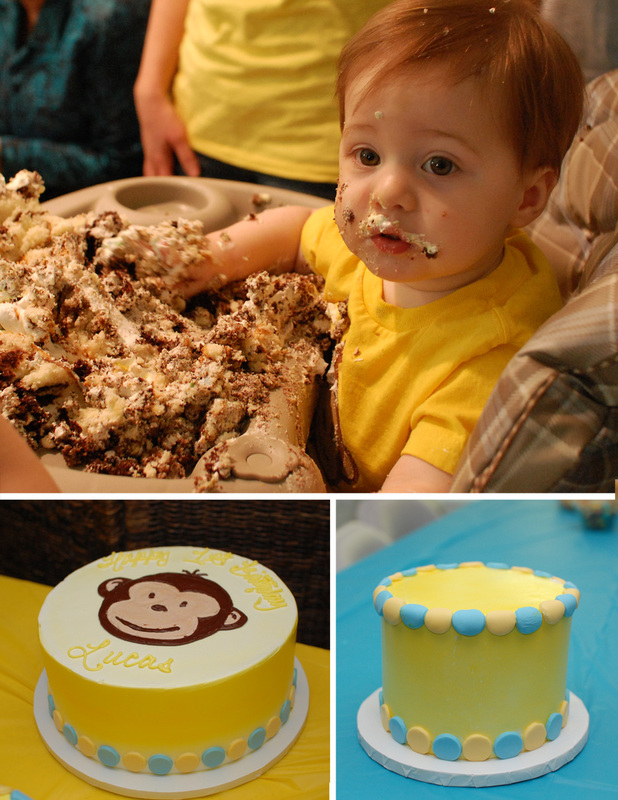 Lucas has fun smashing the cake. He didn’t eat much of it. The cake was done by Ann. She has done several cakes for the family and always does an awesome job. 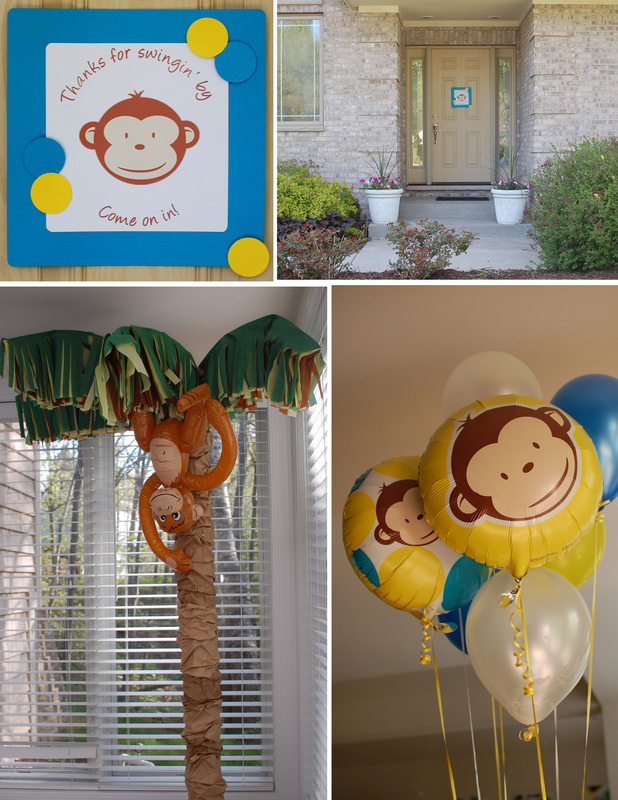 My son also will be turning 1 and I will be using the mod monkey theme, so I was wondering where you purchased the mod monkey yellow balloons, I would appreciate your help, thanks a mill. Hi! I purchased the balloons from Birthdayexpress.com.